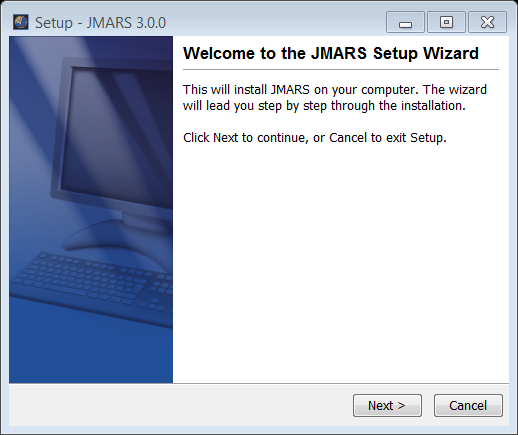 The purpose of this tutorial is to walk users through the process of downloading JMARS on a Windows 32/64 bit PC. 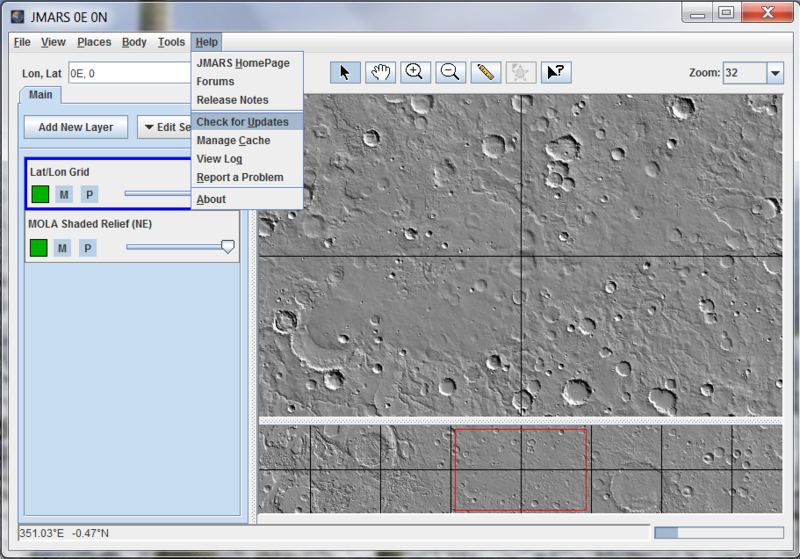 Under "JMARS Public Downloads" find the appropriate size windows machine and click it. When the file is downloaded, double click on the file. You should get a message asking if it OK to install the file. Click "Run"
After you press "Run", a progress bar should pop up showing how much of the file is downloaded. The first window that pops up is the Welcome window, click "Next"
The next screen will ask you to select a Destination Directory for the JMARS application. Keep in mind that once a directory is selected, you cannot change it. 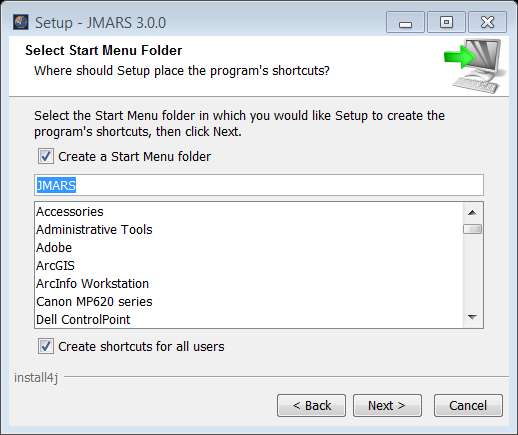 After the directory is selected, click "Next"
Select if you would like a start Menu or not for the JMARS application, then select "Next"
Next, the Update window appears. 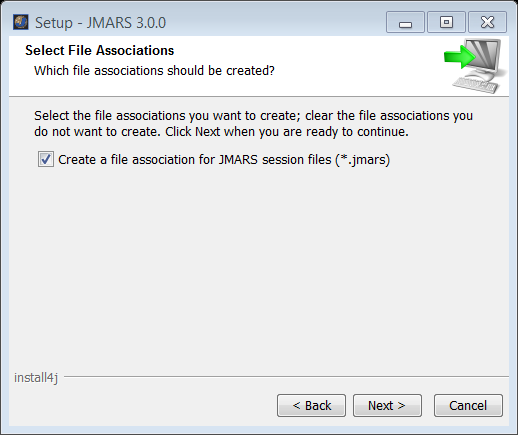 Here, you can specify how often you would like to update your JMARS application. If you click the drop down menu, there are five different options. 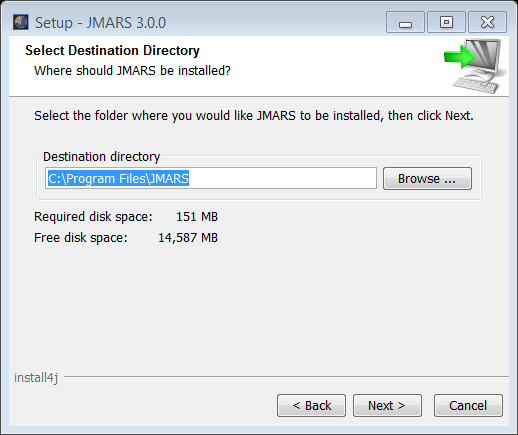 "On Every Start" indicates that the JMARS application will search for any available updates every time you start JMARS up. 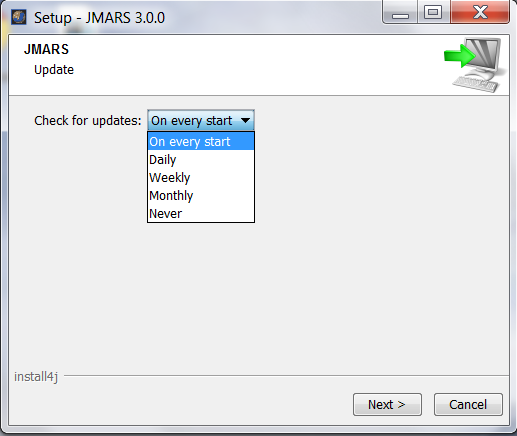 "Daily" will check once a day, "Weekly" will check once a week, "Monthly" checks for available updates once a month and "Never" indicates that JMARS will never automatically check for updates. 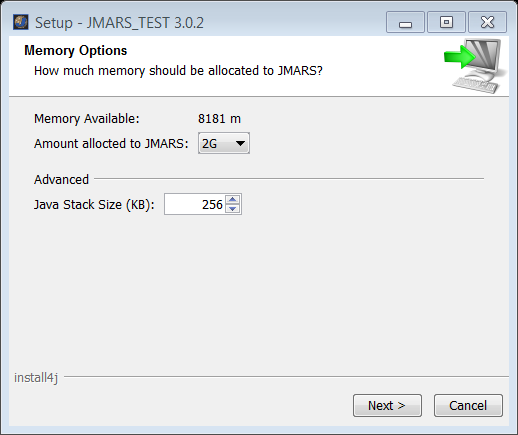 The user can check for updates whenever they please when JMARS opens. NOTE: When you download a new installer, you have the option to change the update schedule. Once you have selected an Update schedule, click "Next"
The last window wants to know if you would like to create a desktop icon for JMARS. After you decide if you would like a desktop icon and have selected or deselected the box, click "Next"
You will be prompted to fill out your email and password. Fill out your email and password and select "OK". 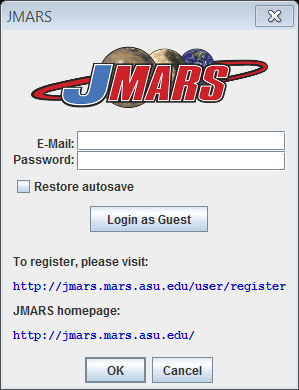 If you have not registered your email/password, you can do so on the JMARS home page. 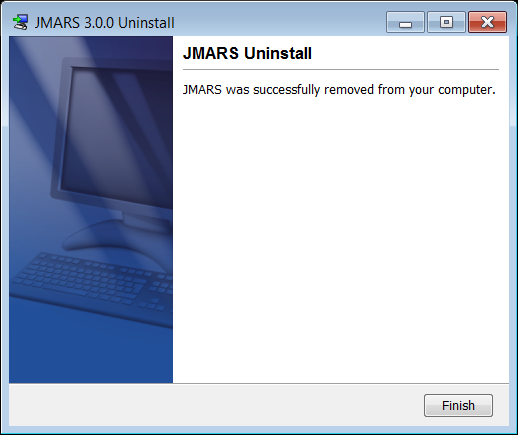 Under "Login" you can click "Create new account"
A window will pop up and ask if you would like to uninstall JMARS. Click "Next"